There are no comments for Alaska's Kenai Mountains At Dawn. Click here to post the first comment. 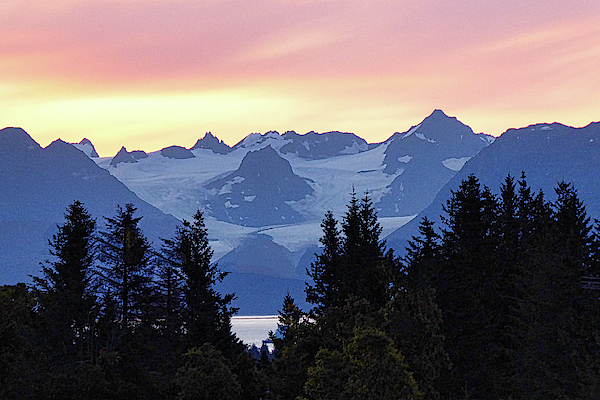 The dawn glow illumines the Kenai Mountains and the Grewingk Glacier above Kachemak Bay. 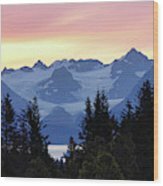 The view is from the scenic town of Homer, Alaska. I have enjoyed the visual arts since my childhood. Drawing and painting were among my favorite pastimes. When I started using a camera artistically in my teens (1960s) my favorite subjects were nature landscapes. 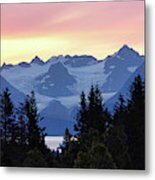 As an adult I have enjoyed traveling and photographing the rugged scenery of many of our national parks. In 2013, I took up painting. I now use watercolor and acrylics to depict the beauty of nature. In addition to photography and painting, I enjoy making pottery. I live in Ann Arbor, MI, with my wife, and two cats.